I wasn’t sure what to expect from Bird Box when I started it but I’m so surprised by how great it turned out to be. 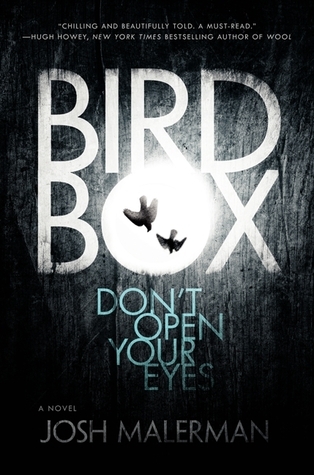 I love post apocalyptic and horror so Bird Box was everything I want in a book and more. So many times though out this book, I had chills and it was so scary. I can’t even imagine living in the world that Josh Malerman created in this book. The writing was so beautiful and detailed. Somehow Malerman was able to build a world based mostly on sounds and yet I was still able to picture everything clearly. The characters were believable and very well written. I was so invested in Malorie and her two kids. I spent the whole book hoping for the best and expecting the worst for Malorie. Overall, I really loved Bird Box. It was the perfect horror book and I know I’m going to be thinking about it for a very long time. Great review and I am glad you liked it because I am planning on reading it this month! This is one of my absolute favourite books! Easily in my top five of the year so far! More people need to read this book. I’m so glad you liked it too! I’ve never even heard of it before I seen it on BookOutlet.com! I’m so glad I came across it! Cool! I can’t wait to see what you think of it!